Sometimes the law as two masters. That can happen when defending yourself in a domestic violence situation in Phoenix, AZ if you needed a firearm but couldn’t legally have one. On one hand Arizona law allows self-defense in many situations, and on the other a prior domestic violence conviction can forbid you from defending yourself with a deadly weapon. A lot depends on the particular facts of the case. One thing is for sure though; my advice is to not talk to police until you have competent legal counsel to advise you. It’s your legal right. And it’s vital protection going forward. Anything you say becomes evidence and police must tell you that during an arrest. Let’s explore the law involved in this legal conflict. What is Arizona’s Prohibited Possessor Law? A prohibited possessor is someone who cannot legally own or have a firearm. A conviction of a felony in Phoenix, Arizona strips the right to own a firearm provided by the U.S. Constitution’s Second Amendment. It doesn’t matter if the felony was committed in Arizona or some other state. Anyone who is on probation for a domestic violence offense is also forbidden to own or possess a firearm under Arizona law. Other prohibited possessors are people who are considered to be a danger to themselves, illegal aliens, people who are legally incompetent, and someone who has restricted weapons such as a machinegun, fully automatic rifle, or other restricted weapons without authorization. A prohibited possessor charge is a class four felony in Arizona punishable by at least two years in state prison. Also, the federal government has prohibited possessor laws that apply in Arizona. Why is a Domestic Violence by a Prohibited Possessor a Federal Offense? The U.S. Justice Department, under the federal “Violence Against Women Act,” prosecutes domestic violence if a state line is crossed to harm, stalk, harass, or ignore a valid protection order. Other lines can be crossed, too – leaving or entering an Arizona military base, Indian country, or maritime waters and shores. However, it may be possible to avoid prohibited possessor status by taking legal action by setting aside the felony conviction so you can legally have a firearm. Federal law is much more restrictive than Arizona and imposes time limits. Arizona law allows some misdemeanor or felony convictions to be set-aside, meaning that the conviction is still on the record but the rights lost because of the conviction are restored, including the right to own a firearm. This is similar to expungement, which erases the conviction, but Arizona does not allow expungements. Not all crimes are eligible to be set-aside. Non-eligible crimes are offenses involving a minor, sexual use of a deadly weapon, causing serious physical harm, and if the person is required to register with the state, such as the sexual offenders list. An Arizona misdemeanor conviction for domestic violence can allow firearm ownership if the sentence, probation and other terms of the sentence are satisfied. But the federal government isn’t as generous and firearm ownership is forbidden unless the conviction is set-aside and there are some restrictions on the type of crime and application deadlines. Arizona law doesn’t require you to run away when threatened. Self-defense in Arizona allows you to defend yourself when faced with an eminent threat and you honestly fear for your life or harm. You have to be in a place lawfully, did not start a fight or did start one but promptly took yourself out of it, and did not use unreasonable force for the situation. Self-defense is also applied when stopping a crime. Deadly force is allowed to stop murder, manslaughter, aggravated assault, robbery, burglary of an occupied dwelling, kidnapping, child molestation, arson of an occupied structure, and sexual assault. So, if you go to an ex-spouse’s home to pick up children for the day and have visitation rights, you are in the home legally. If someone there tries to stop you, draws a weapon and rushes at you, a reasonable response is legal. If you attack the person to reduce the threat and get control of the weapon you have acted lawfully to defend yourself. If the person rushes you with fists you may respond with fists but shooting is excessive. Defending property is not self-defense. If you see someone stealing your car you cannot fire a weapon at the fleeing car thief. But you may use some force to stop a property crime as long as the force is not excessive. Many variables can happen in self-defense situations. You don’t have to prove self-defense. The prosecutor must prove the act wasn’t self-defense. What Will a Lawyer Do to Help Me? These two laws, self-defense and prohibited possessor, in domestic violence cases can be in conflict and that requires a highly skilled and knowledgeable defense attorney who fights hard for you. I have a record of successfully defending domestic violence related cases resulting in no charges, or cases dismissed before and during trial. Authorities are not interested in finding someone innocent of a crime. Their job is protecting the public. That means certain facts that point to innocence may not be considered, or the investigation wasn’t thorough enough to find mitigating circumstances and evidence. Domestic violence cases are highly emotional and the statements of victims and witnesses can be tainted or plain lies. I investigate the police investigation, refute the state’s evidence and argue that self-defense must be the dominating factor. Protect yourself, your reputation, and your financial future. Please contact Phoenix criminal defense attorney Aaron Black Law today to arrange a free case evaluation or call 480-729-1683. 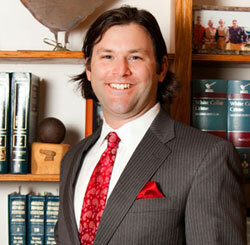 Take advantage of my experience, track record, and personalized service to receive relevant legal advice.